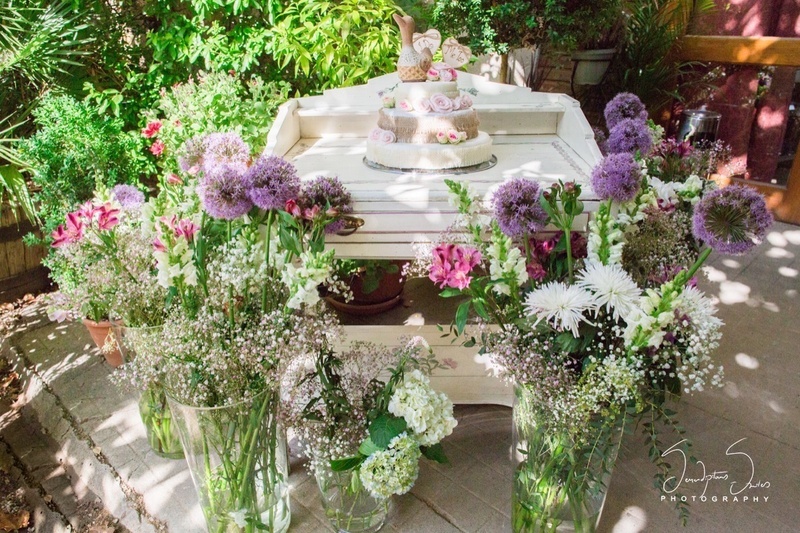 Loved the pleasant and fitting floral décor that added to the beauty of the surroundings. 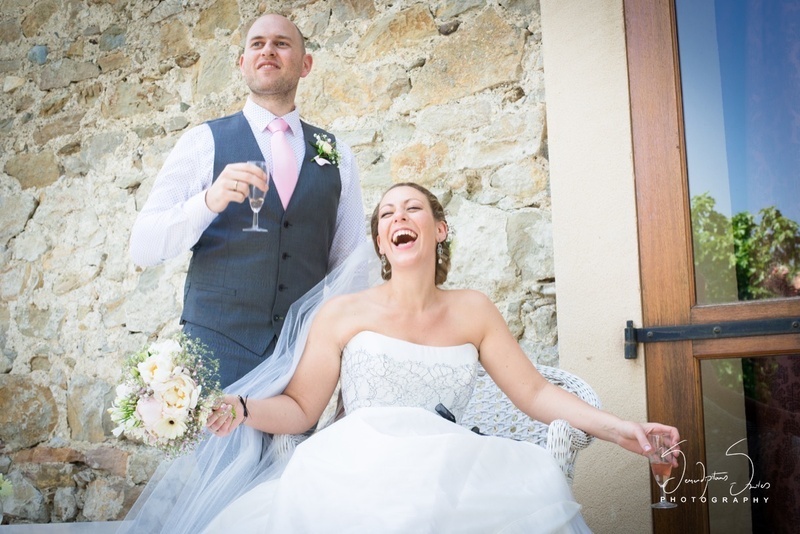 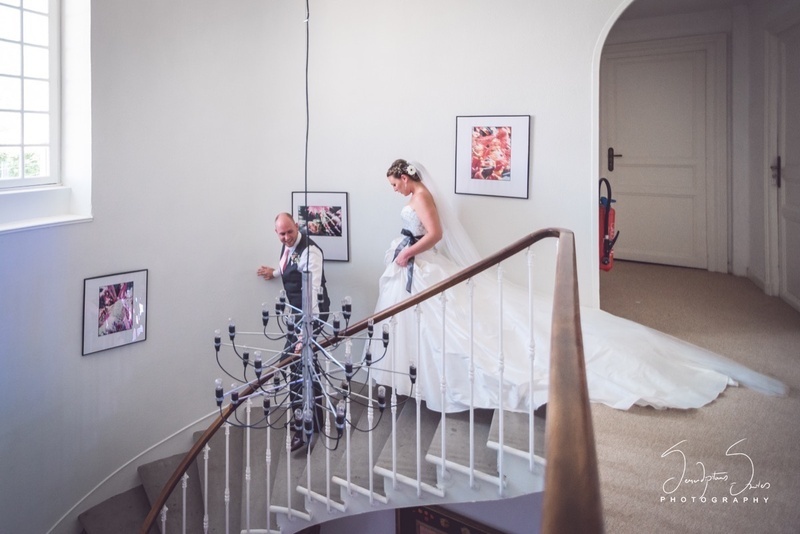 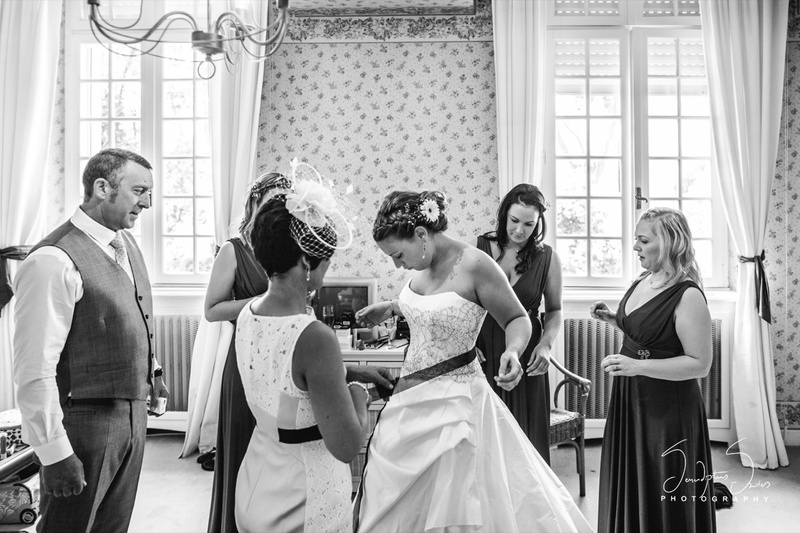 Vicky and Craig are a British couple from New Castle who choose to have a destination wedding in France. 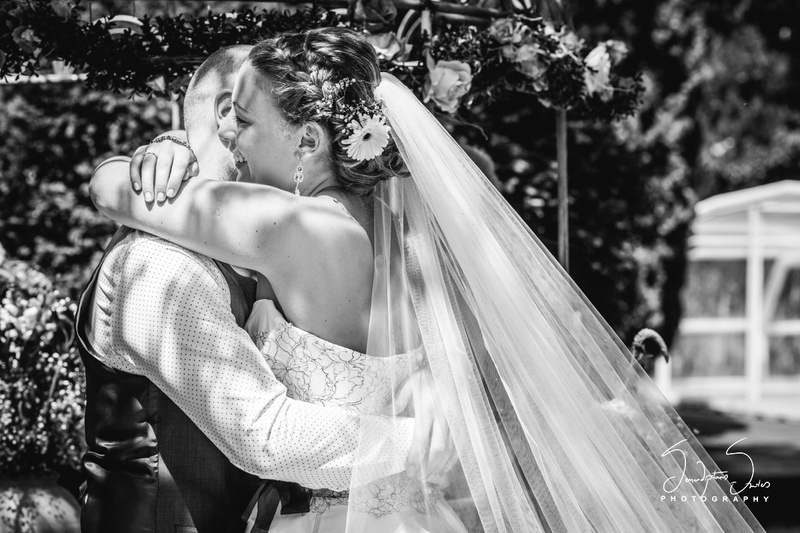 Maybe it was the weather, maybe it was their amazing family and friends, or maybe it was the joy of their love; but this wedding was definitely special. 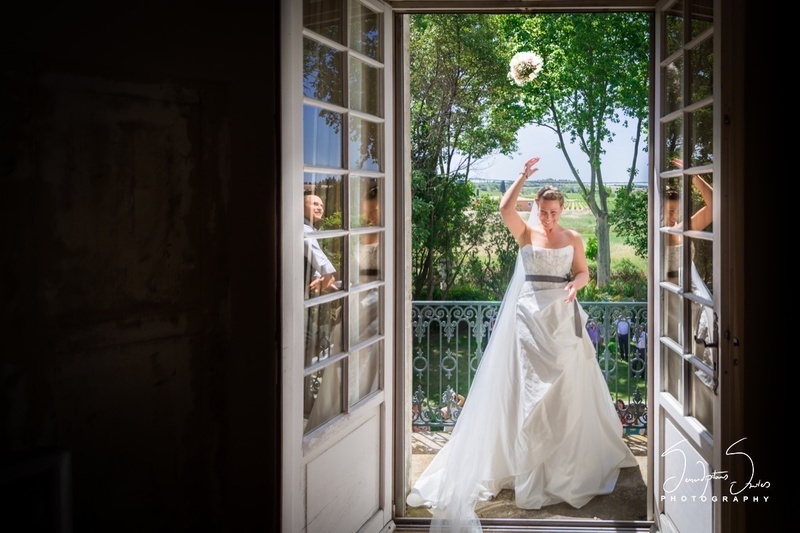 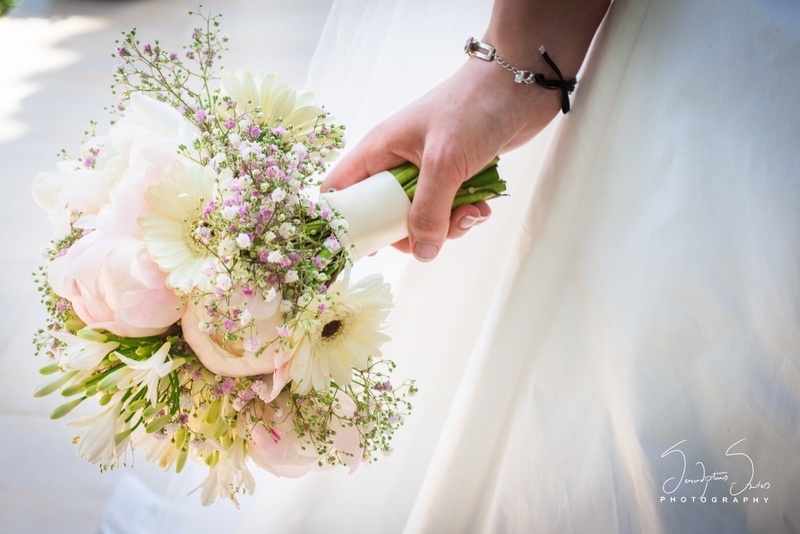 It was a sunny outdoor wedding in June, the height of the perfect wedding season in France. 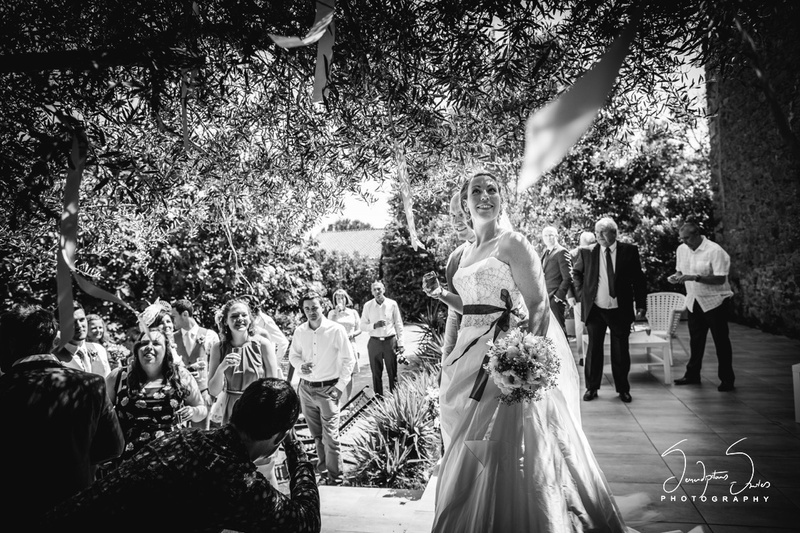 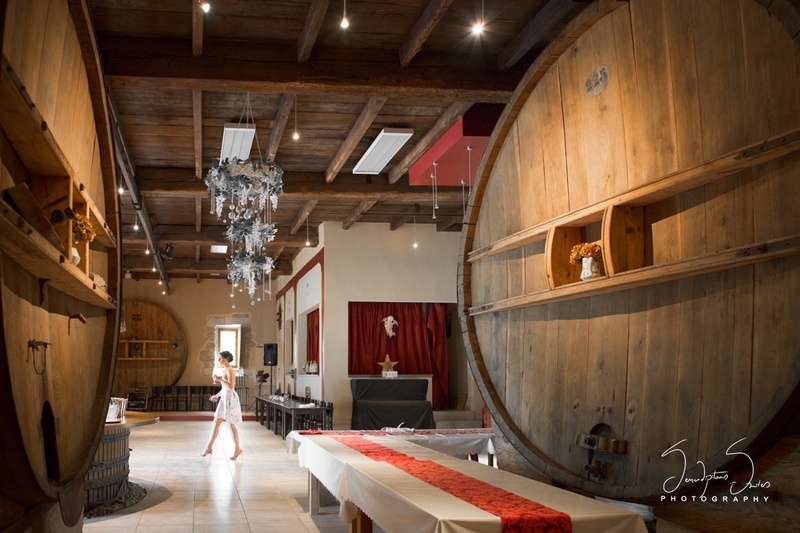 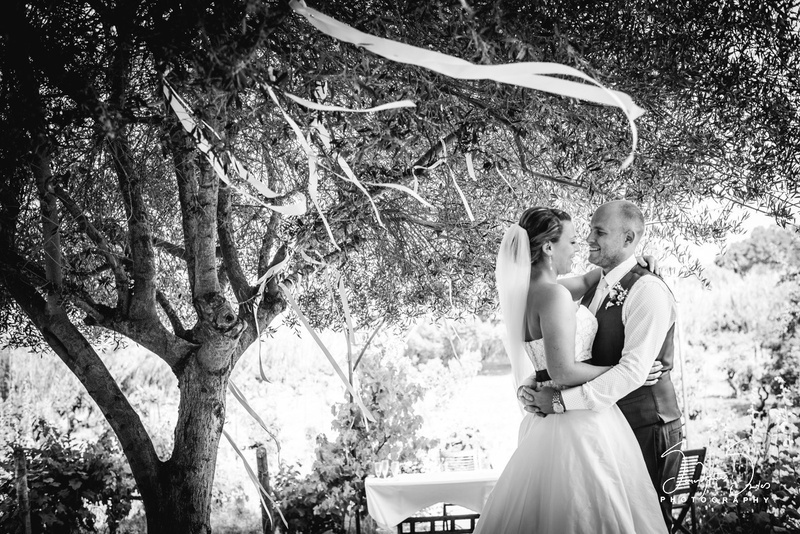 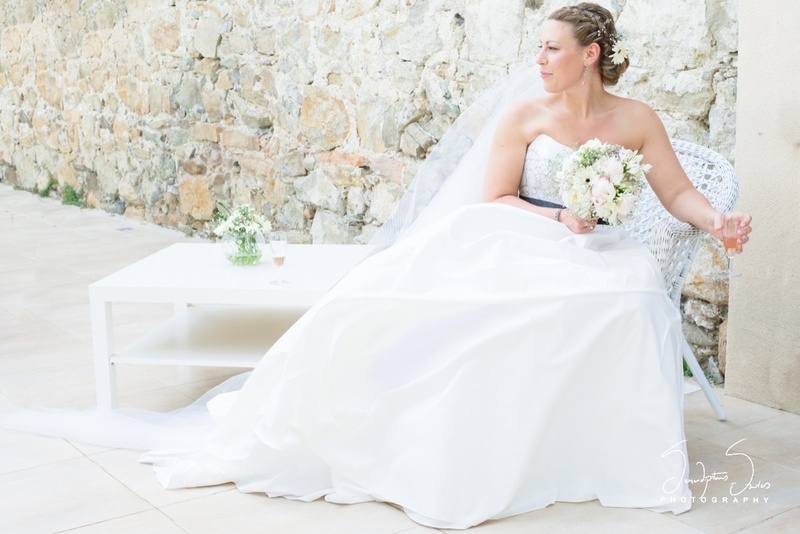 The wedding took place in Ginestas, South of France amongst vineyards, surrounded by different fruit trees around. 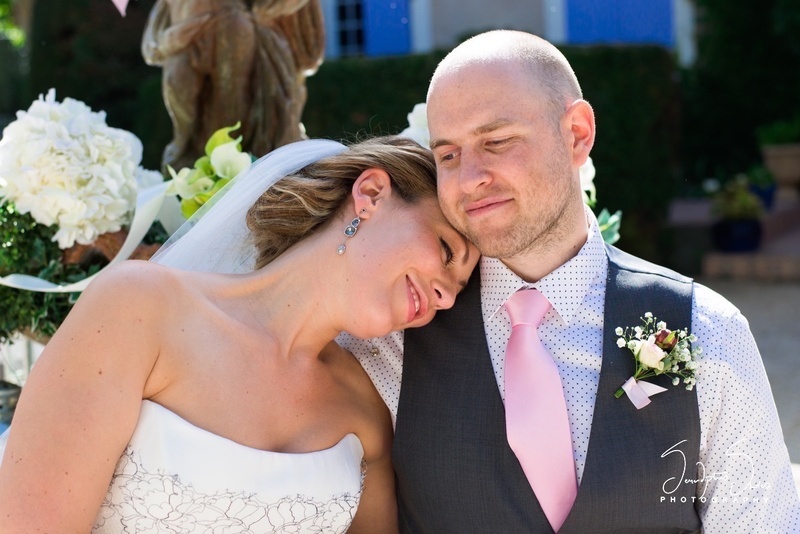 A land where grass is always green, the sun is always shining, and fences are always white picket, it truly provided the perfect ambience for an ideal summer wedding. 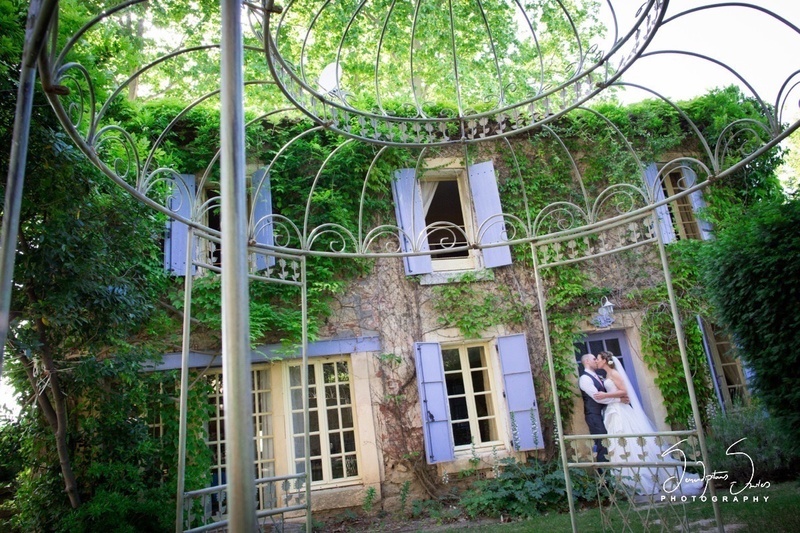 The event was followed by a cocktail in the backyard and dinner in the front porch. 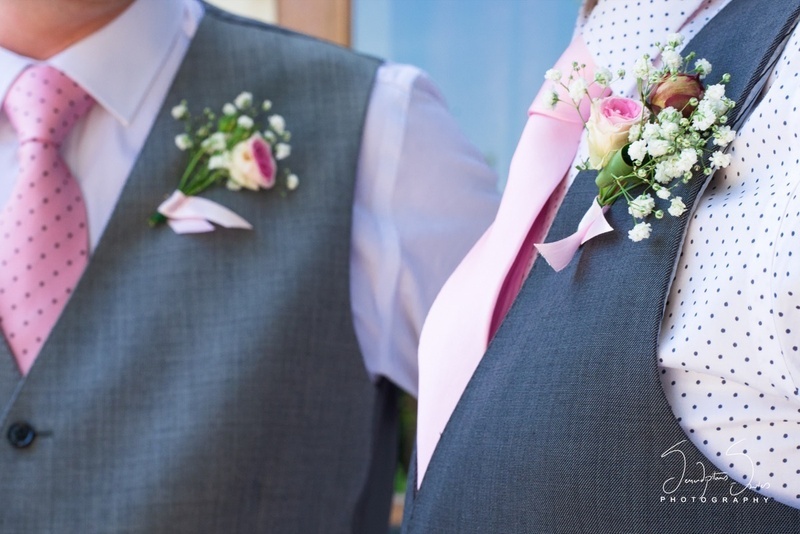 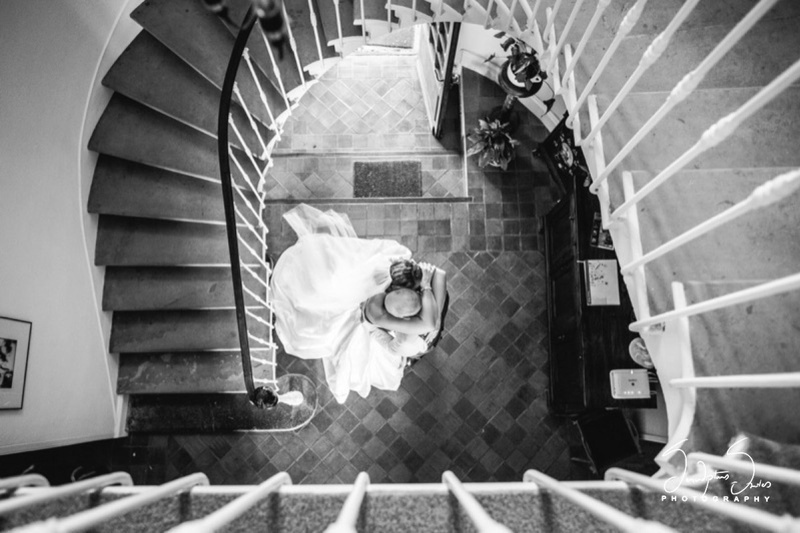 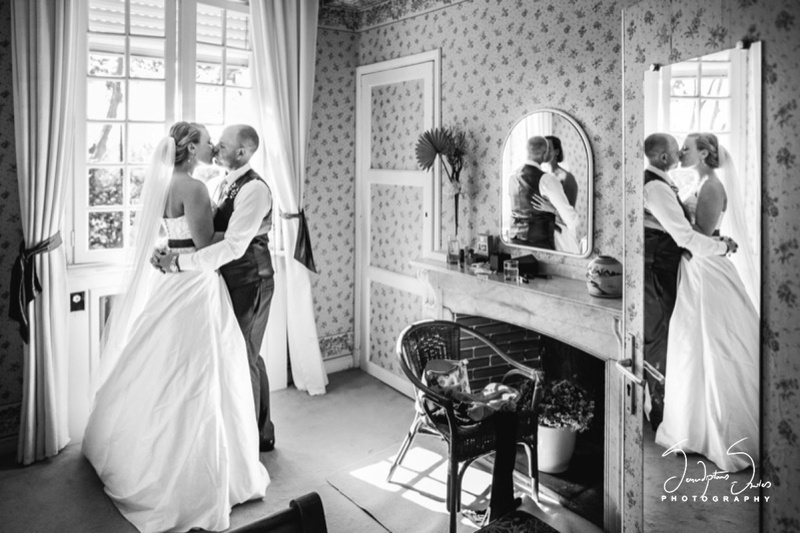 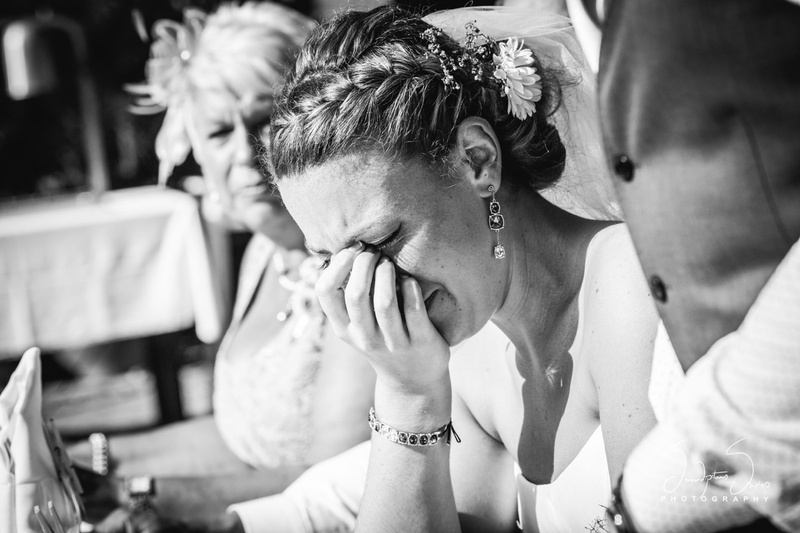 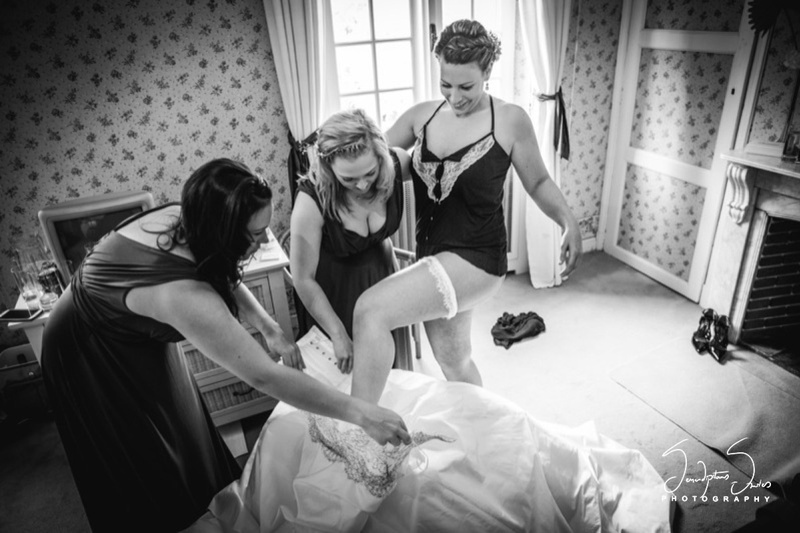 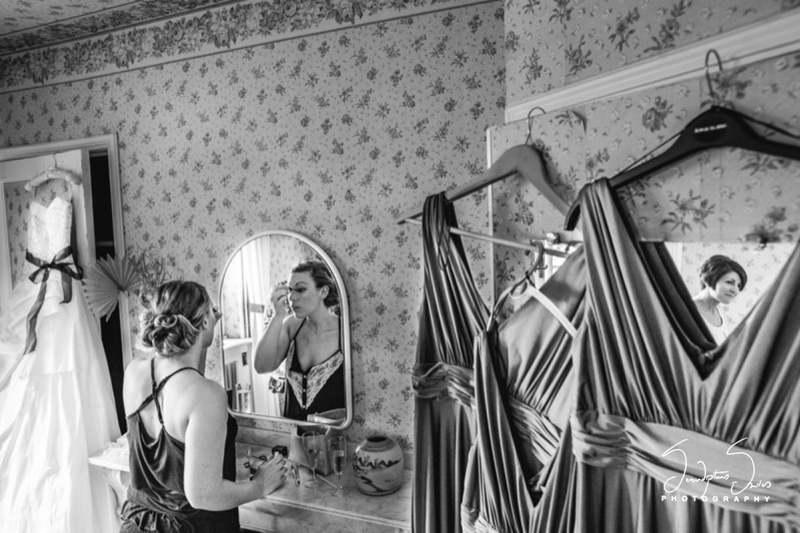 The photographers at Serendipitous Smiles did a fabulous job of capturing the wedding moments in black and white in order to emphasize on the heart-felt emotions and sentiments rather than the colours. 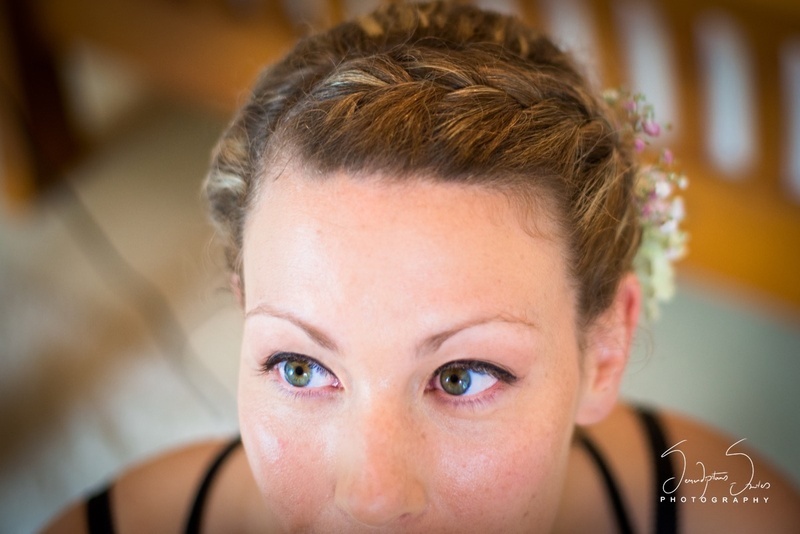 Look out for Vicky’s stunning bridal hairstyle. 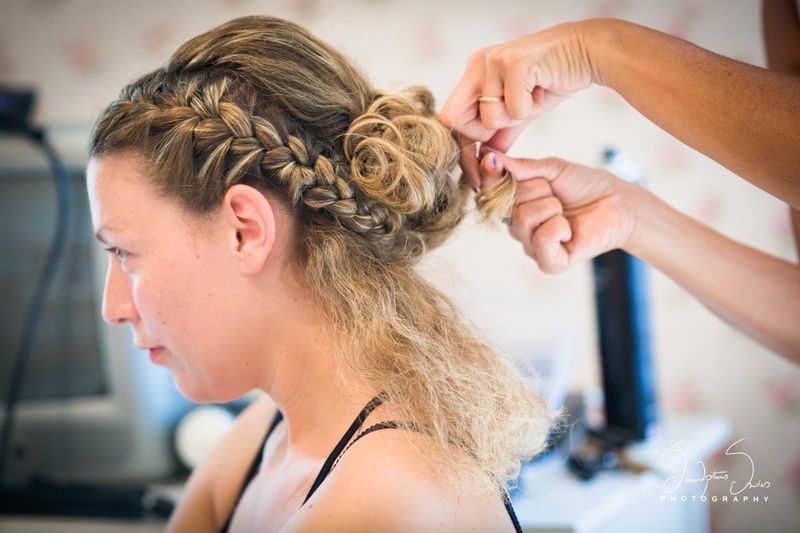 She certainly pulled off a braided bun beautifully. 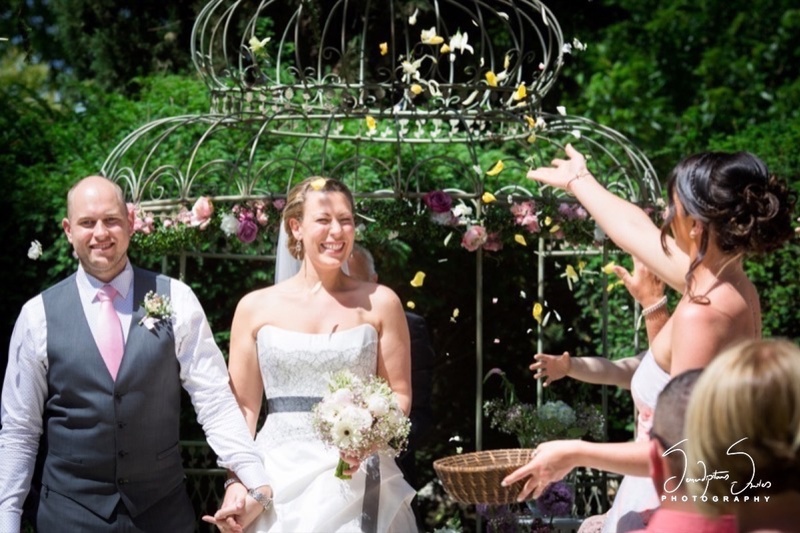 We also loved the pleasant and fitting floral décor that added to the beauty of the surroundings. 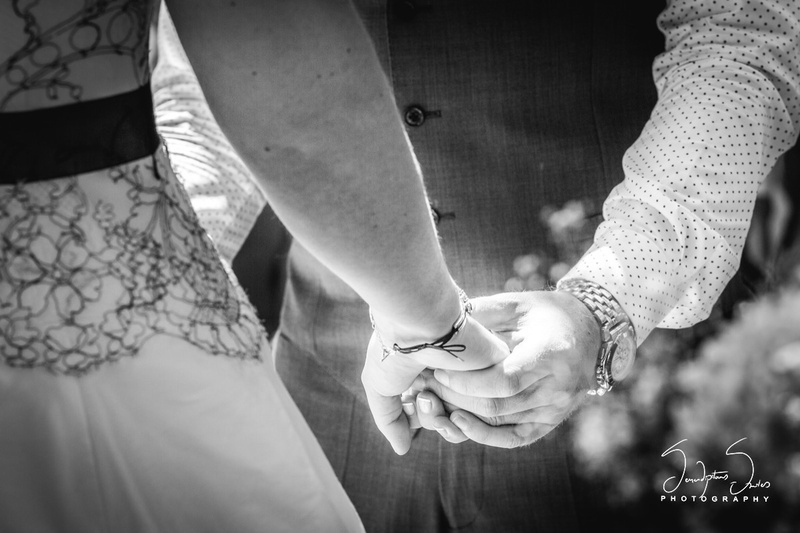 The intimacy of their love says it all.